The content of our lives – who cares enough to save it? Imagine all the non-digital photos and memorabilia. Forget Airbnb and driving for Uber. Boomers with creativity, organizational skill and some technology can follow multiple small business paths that have large emotional implications for the customer. Consider the large and small albums of photos, cassette tapes, home movies – not just from the boomers aged 51-71, but from their parents, and even some from their parents’ parents. Will anyone want it? Cynics contend that not only will the old content be lost due to disinterest, but that current content (selfies, group photos, Facebook and Instagram shots of that great dinner) will also be lost, some say, to collective disinterest – the photo only mattering in the moment. The memory media movers – a multi-tier industry. But some care enough to act while they still can. 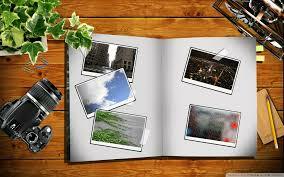 As older adults study the albums in their studies, some hire a service that can help them organize and cull the photos. Not unlike the profession of Senior Move Managers helping to clear out and downsize the house, there is an Association of Personal Photo Organizers (APPO), complete with certifications, who help family cull and cut through the duplicates and clutter. Making material digital – maybe to be forgotten in another source format. The Photo Organizer helps the client decide what to scan. Then the scanning firm pulls pictures from plastic to be scanned, converted and saved on digital media. Then once it is digitized, the customer can record a narrative track describing the content. For example, hidden away in the The Velvet Mill in Groton Connecticut, is a shop called Charter Oak Scanning. Scanning everything – buying old projectors and cameras to get the job done. Paper photographs, 35mm slides and negatives, 8mm and 16mm film, VHS, BetaMax, audio cassettes, and reel-to-reel. The memory mill – a multi-tier market – now nationwide players. The demand for this has grown, naturally, given the ever-taller stack of media types and the blooming of. So now the web searches turn up more players. Consider Newton, MA EverPresent, or Legacy Stories. Or Mylestone. Or Keepy. Or see more reviews. Then there’s top-rated Minneapolis Memories Renewed, with its 3+ month backlog, ScanCafe in Indianapolis, even outsourcing detail work to India for lower price/higher volume (naturally). And Mylestone. So the cycle of media movement continues, compounded and confounded by the easy smartphone camera shot – the websites for sharing/storage like SmugMug, TinyBeans, Flickr (to be part of Yahoo/Verizon), and Shutterfly (now a public company). Consider the memory – yours, theirs, and future. After the wedding, families expect an album. The coffee table demands it, and there it is – before it is too late -- the beginning of a cycle many years later to re-scan the album because the photographer and his-her files are gone. Who matters most in the distribution cycle of memories (besides the original creators)? The Personal Photo Organizer – unlike Uber and Lyft or Airbnb – the level of risk is low, and the customer emotional satisfaction is high. Yet, of course, there’s a problem. Would anyone really throw away the originals? And so the original problem begets a new, now-sharable, storage format and keeps the old, to be stuffed away in ever-smaller closets. Thank You for Highlighting This Important Career! Permalink Submitted by Catherine Nelson (not verified) on Thu, 06/08/2017 - 12:26. Wow, how exciting to be listed alongside Uber and Airbnb as a viable career! I founded the Association of Personal Photo Organizers seven years ago after I agreed to help a friend manage her lifetime of photos. She had asked for help after inheriting boxes of photos from her parents and realizing that her family photos were a mess along with a growing glut of digital photos. I will never forget her words, "Cathi, I guarantee there are hundreds of other Maria's just like me who would gladly pay someone to help." Well, she was right, and today we have trained hundreds of photo organizers who assist their clients in every aspect of photo organizing. There is a beautiful quote by Acosta, "If you don't talk to your grandmother and she passes away, it's like the library burned down." Today our family photos are a library of our lives, and they need to be organized and shared for future generations. Permalink Submitted by Scott Jennings (not verified) on Fri, 06/23/2017 - 18:15. It's amazing to think about how little of the technology to do this was available, just in the span of my own life. In the 30 or so years I've been self-aware, we've gone from rotory phones and black and white photo albums to... well, as your company shows - being able to digitally secure anything and everything we want. This is a paradigm shift, and APPO is right on the forefront. Permalink Submitted by Laurie Orlov on Sat, 06/10/2017 - 12:56. I am still a paper scrapbooker with "real" photos. For real! Permalink Submitted by Catherine Nelson (not verified) on Sun, 06/11/2017 - 14:02. I discovered paper scrapbooking in 1993 when I wanted to create a Life Book for my adopted son. It was the only way I could share the stories of how he joined our family alongside the photos. That was the beginning for me and I fell in love with creating scrapbook photos albums! I have now switched to digital photo books but I do miss the tangible feel of photos and paper. Permalink Submitted by Wayne Caswell (not verified) on Sun, 06/11/2017 - 11:51. Thanks for this - The digital era brings up many issues with preserving one's digital legacy that people don't tend to think of until it's too late. I too have written several articles on the topic. You Chose - Who do you want to remember you, and for what? Is it just your immediate family or generations beyond? What will be remembered anyway? You can influence that by asking those questions now and making it easier for them. Where - What happens if you don't have a cemetery plot with stone gravestone? Will your ashes be contained or spread, and if spread, how or where will loved ones go to remember you? One answer is a perpetual webpage, offered by many funeral homes, even giving online visitors an opportunity to post their thoughts and pictures. Volume - In days past, we'd just thumb through an old photo album, but doing the same thing with gigabytes of your best writing, tens of thousands of digital pictures, hours of video content, can be overwhelming. To make it easier for others to find their way through the clutter, organize - kind of like picking a few of the best wedding photos from over 200 taken, and binding them into a quality album, or putting 1-2 in a frame. Format - Will future generations even be able to access the digital content on 5.25" floppy discs, 3.5" discs, CDs, DVDs, Blu-Ray discs, or thumb drives? Will anyone have a device that can read VHS, VHSC or Beta tapes? And what about online services like Dropbox and Google Drive? Will the service still be around in 10 years, 20, or 200? Online Accounts - What will happen to your website, blog, Facebook & LinkedIn presence, YouTube channel, etc? Consider naming an online executive in your will, or signing up for a perpetual service, knowing that it may only last a few years after your death. Digital Immortality - What about capturing the content of your brain or preserving it for some future generations with cryogenics? Will they eventually be able to bring you back to life, physically or digitally? And would you even want that? The Future - Think again about that digital immortality thing, because it will soon be possible to gather and analyze all of your digital content with the ability to present your virtual likeness with AI interactivity. Skewed History - If the wealthy is able to preserve more of their legacy than the poor, what will historians know of our society? Will you be part of that collective history, or will you and others like you be long forgotten? Now's a good time to think about it - while you still can.